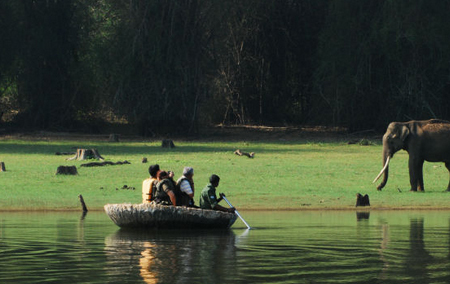 Holy, life-giving, the serpentine Kabini (also known as the River Kapila) twists its way through the forests spreading life in its wake; painting a colorful world of flora and fauna. 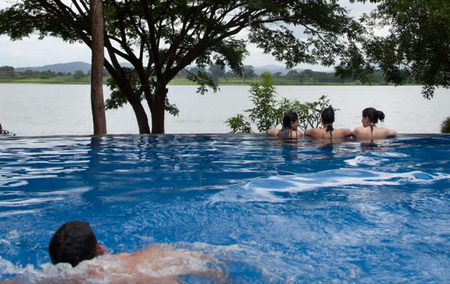 Swelling in the monsoon to enrich the land and receding in summer to turn playground for wildlife, the Kabini is a freshwater source originating in Coorg and Kerala. The river is a lifeline to many villages on her path which finally merges into the Cauvery – one of the largest rivers in southern India. 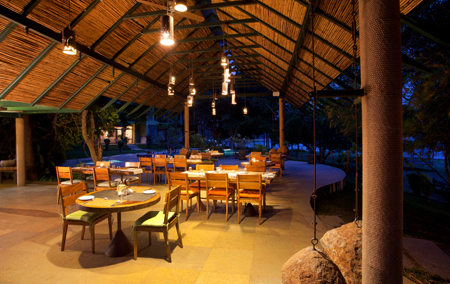 The vast reservoir of the Kabini divides the Nagarahole and Bandipur Tiger Reserves and becomes a great vantage point to view wildlife as a weekend getaway from Bangalore and Mysore. 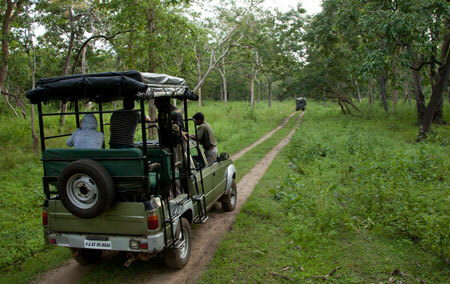 Apart from the forests and natural vegetation, the entire length of the Kabini and its backwaters nourish huge tracts of agricultural lands and pastures. 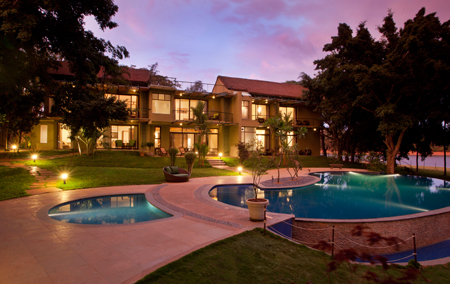 A Little upstream from Waterwoods Lodge is the Kabini Dam. 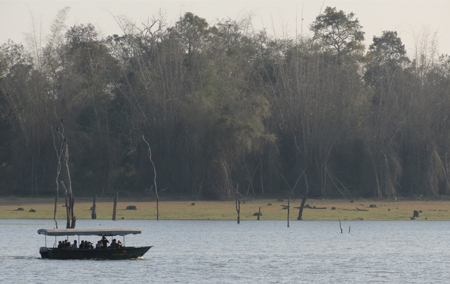 The reservoir of the dam and its backwaters are populated with numerous aquatic creatures – including crocodiles, over 250 exotic bird species and a variety of freshwater fish.